Fire forward CJ Sapong speaks with media members after scoring a goal in the Fire's 4-1 win over the Colorado Rapids. Chicago Fire head coach Veljko Paunović addresses the media after his team's 4-1 win over the Colorado Rapids Saturday at SeatGeek Stadium. Fire midfielder Nicolás Gaitán speaks with media after recording two assists in Chicago's 4-1 win over Colorado Saturday. View full highlights from the Fire's home match against the Colorado Rapids on Saturday, April 20. Chicago Fire midfielder Djordje Mihailović nets his first goal of 2019 and extends the Fire lead to 3-1 in the second half of Saturday's match against the Colorado Rapids. Chicago Fire midfielder Aleksandar Katai scores in vintage Aleksandar Katai fashion with a curling shot from distance to extend the lead to 4-1. Chicago Fire forward CJ Sapong scores his fourth goal of 2019 and extends the Fire lead to 2-1 in the second half of Saturday's match against the Colorado Rapids. Chicago Fire forward Nemanja Nikolić nods in the opening goal of the match -- his third goal in three games -- on a swerving cross from midfielder Nicolás Gaitan in the first half of Saturday's meeting with the Colorado Rapids. 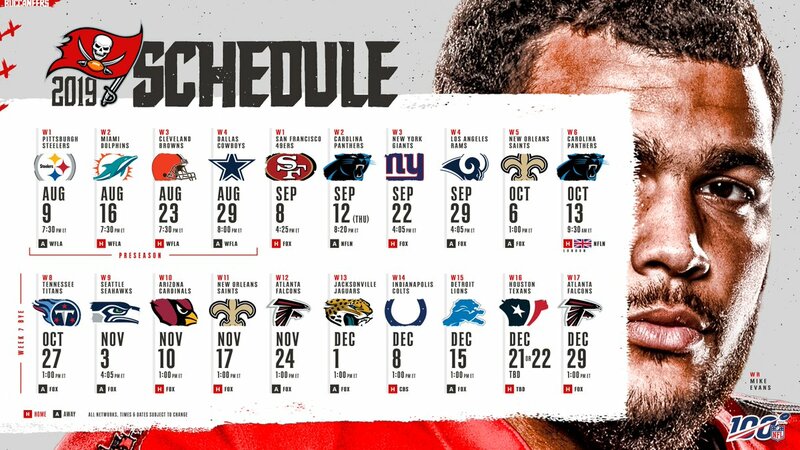 RT @Buccaneers: Schedule’s out, YOU IN? RT @Buccaneers: Oct. 13 | @Panthers | ? ?